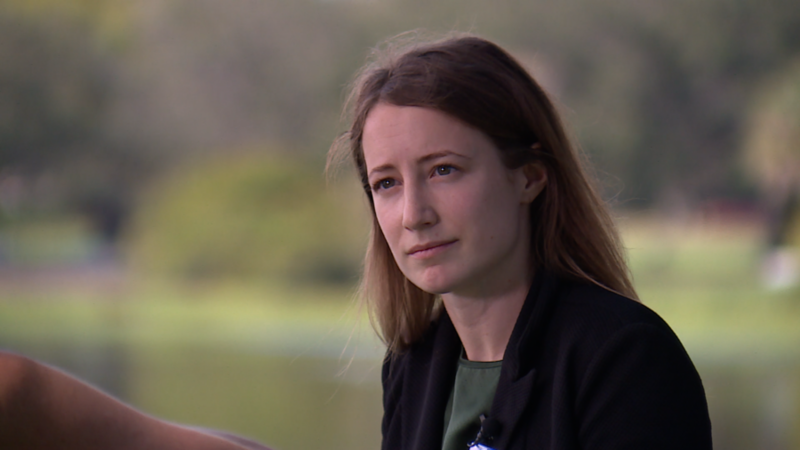 Months after several Florida school districts made state headlines after testing results showed elevated lead levels in school drinking water, Investigative Reporter Katie LaGrone wanted to know how every FL school district is making sure the quality of its water is safe for students. When you're a busy mom of four, unexpected things happen. But Daisy Brittain never anticipated what she recently learned about the water where two of her sons go to school. “I didn’t have to worry about lead poisoning when I was a child. Now I’m having to worry about it for my children? It just doesn’t seem right,” she told us recently from her Tampa home. Across the country and around the state lead-contaminated drinking water has put schools in the spotlight and under the microscope. In Hillsborough County, since the district started lead testing last year, 54 schools have tested above 15 parts per billion, the federal standard for action. Among them, the elementary school where Daisy's kids go. Two water fountains at the school recently tested 50.5 parts per billion (ppb) and 73.7 (ppb), nearly four and five times above that federal standard. The American Academy of Pediatrics recommends lead levels should not exceed 1(ppb). “I was amazed at the levels of them, it was actually shocking,” Brittain said in response to the results which Hillsborough County now posts online for the public to view. 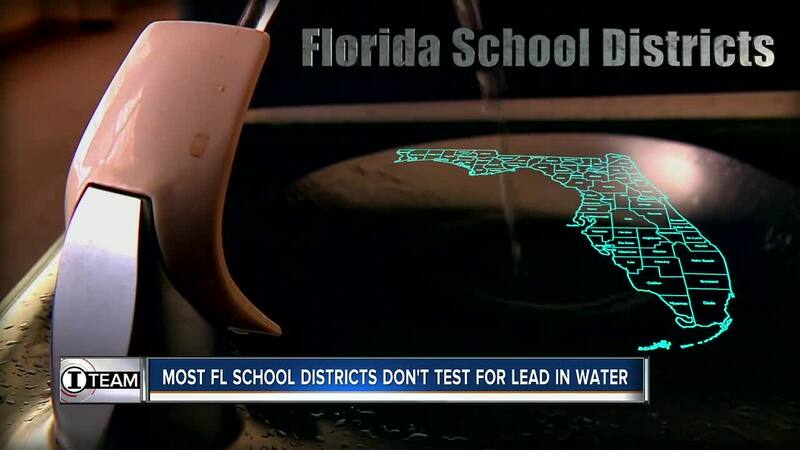 While the school is replacing those fountains, we discovered the majority of Florida school districts do not test for the metal toxin on campus. Of 65 out of 67 school districts that responded to our request, roughly 66% told us lead testing is either partially done or not done at all on campuses. (19) school districts have water on campus tested for lead every 1-3 years. (39) school districts do not test. Most, if not all of these districts, get their water from the city or county and rely on the public utility system to test water for safety. However, public utility systems conduct testing at their facilities and do not typically test sources on a school campus. (6) school districts told us they only test at schools that are on wells or get their water from district-owned water plants. (2) have plans to start district-wide lead testing this year. While Florida law requires school officials to protect children’s health and safety, the law does not require schools to sample for lead on campus. Only six states require school systems to test for lead in the water: California, Illinois, Maryland, Minnesota, New Jersey and New York. The Florida Department of Environmental Protection and the Florida Department of Health require public water systems to perform routine water quality testing but that includes public utilities, not school systems. Sarasota County is one of three schools districts in the state that just started testing school water. District leaders invited us along as it started sampling water about a month ago. 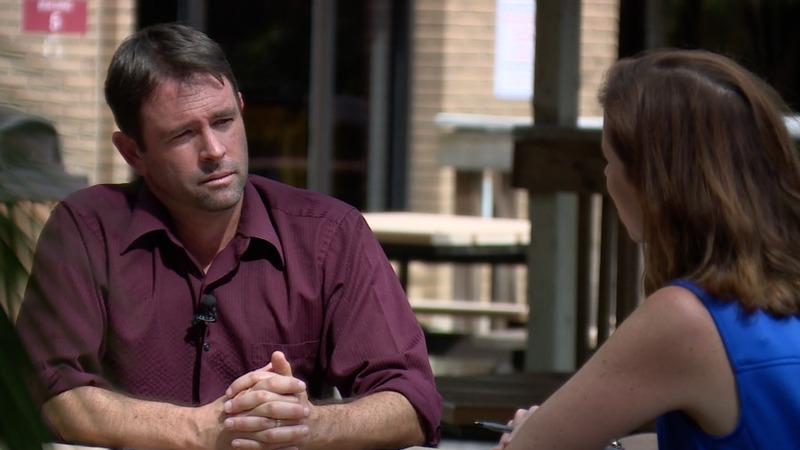 “Why has it taken so long,” asked investigative reporter Katie LaGrone. “That’s a good question,” said Jody Dumas, Executive Director of Planning and Construction facility services for the school district. “It’s one of those things that we had just not been alerted to until very recently,” Dumas said. Dumas and other district leaders watched media reports raising concerns about lead levels found in school drinking water in nearby school districts. Parents also started calling the district asking if lead testing was being conducted. “We knew this is something we needed to get going,” Dumas said. The District hired an independent lab to conduct the testing. By the end of the month, all public campuses in Sarasota County, built pre-1986, will be sample but that’s not the case at all schools in our viewing area. Just started testing this year. They only test the water at four schools since those schools get water from the district-owned water plant. All other schools get water from the county, which county leaders confirmed, have not conducted lead tests at any Pasco County school. However, the county said it would conduct tests on campus if the school district requested it. While the Pinellas County school district samples the water on-campus annually, Polk County schools just started testing this year. 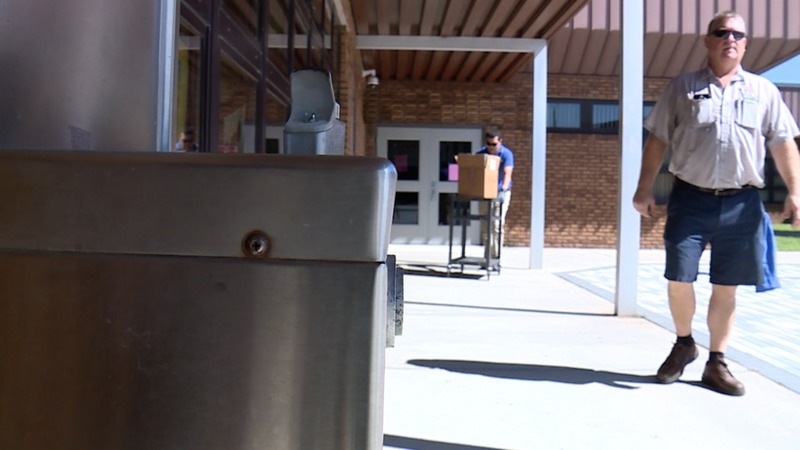 Manatee County schools’ says it’s going to start testing and the Pasco County school district tells us they only test the water at four schools since those schools get water from the district-owned water plant. All other schools get water from the county, which county leaders confirmed, have not conducted lead tests at any Pasco County school. However, the county said it would conduct tests on campus if the school district requested it. The lack of consistent lead testing at schools in Florida is a statewide failure spelled out in a 2017 Environment Florida Report where the sunshine state got an “F” for failing to keep school water from becoming laced with lead. “Lead testing is like russian roulette,” said Jennifer Rubiello, Executive Director of Environment Florida, a state advocacy group. “Testing is really unpredictable. 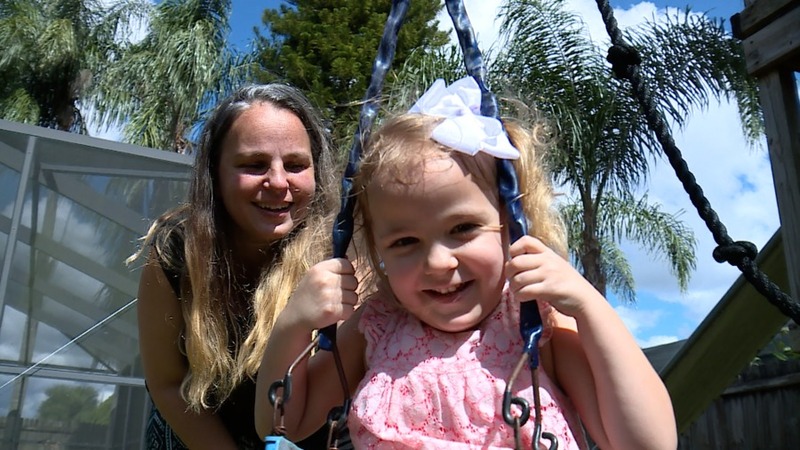 We don’t really know what’s out there so that means Florida is not tackling the solution as well,” she said. The group, which has voiced its concerns for years, is now calling on lawmakers to adopt new school lead rules that could include annual mandatory testing or requiring district campuses be equipped with filtration systems designed to help remove lead. “At the very least we should know when we send our children to school they’re not going to be poisoned by exposure to lead,” said Rubiello. Daisy Brittain now packs her sons two bottles of water and juice.